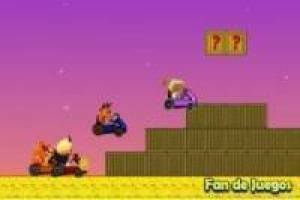 Have fun with Crash Bandicoot and the characters of their video games doing very crazy kart racing at different levels. You will have to carry out a competition that will be made up of different worlds. You have to finish each race first to take the maximum possible points and lead the classification. 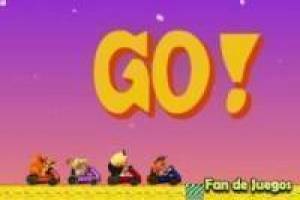 Use the arrows of the direction cursor to move and the space bar to release a beam that paralyzes the opponents that are ahead of you. This ray has to be recharged, when you see in the upper part that it is at maximum it will be time to attack. Knock down your opponents and cross the first line to bring the points to your score. 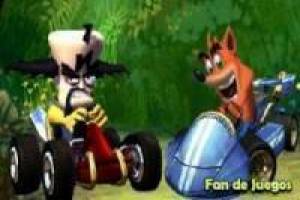 Enjoy the game Crash kart bandicoot, it's free, it's one of our crash bandicoot games we've selected.